Marlow Common | Where Angells Tread! 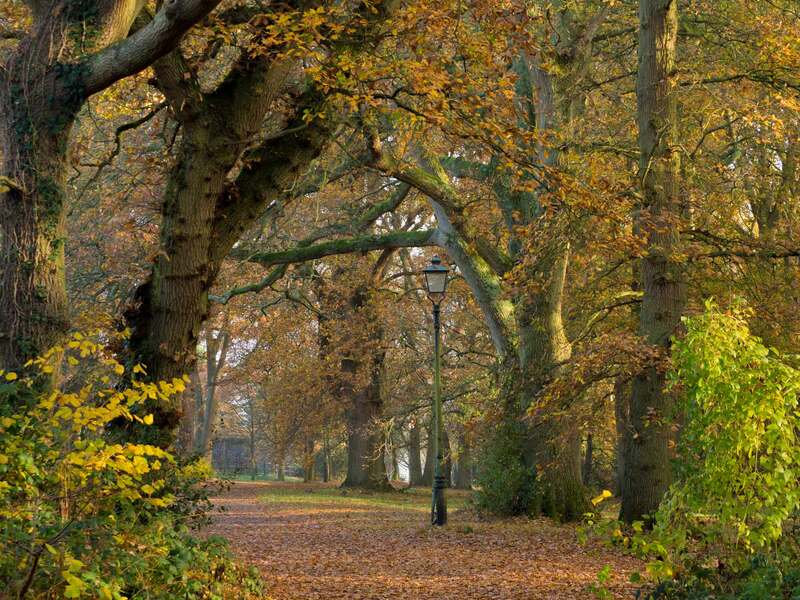 This is a beautiful walk, made better by the fine, late Autumn weather. It’s been said before, but bears repeating, we love the Hambleden Valley and most of the tracks have been walked by Angells over the last few years. This time we walk as far as Pullingshill Wood at Medmenham before turning north to Marlow Common. 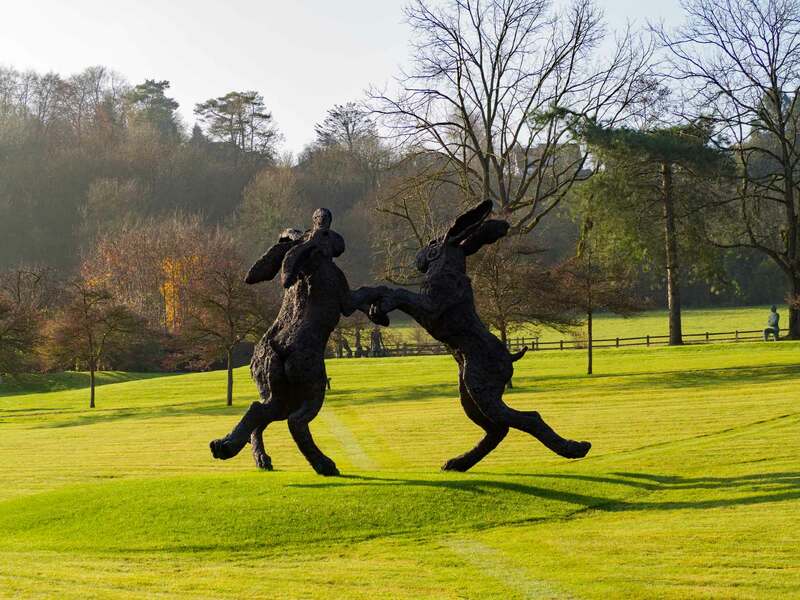 At Mundaydean Lane we stumble upon 8ft high boxing hares, frozen in mid fight! Outdoor sculptures are becoming a theme for us, first the Nuba Survival at Checkendon, then Much Hadham and some Henry Moores and now Marlow Common. Some of these woods have the feel of walking through Narnia…all it needs is some snow. Instead of snow, the weak autumn sun spills puddles of light across the paths, which mix with the muddy puddles left by last week’s rain and all displayed against an ochre and russet autumnal backdrop. We skirt Frieth (we’ve been here several times this year already) before dropping back into the Hambleden Valley at Pheasants. We’re back at the car before we know it…I think that has to be a mark of a really enjoyable 10.3 mile walk.